Last Updated Mar 6, 2019. As a sleep consultant I spend a tremendous amount of time disabusing people of their previous beliefs regarding sleep training. As any parent who has spent anytime in a parenting Facebook group, or googling anything about children and sleep, knows there’s A LOT of information out there. Most of it conflicts with each other and everyone has an opinion. Because so much of sleep training involves your child protesting falling asleep without help (read: crying), well-meaning family members and friends don’t think twice about making verbal judgments about people’s choices to sleep train. It can be very difficult if you are a mother who has been primarily responsible for feeding and caring for your child overnight, and during the day, and are starting to feel the fatigue associated with lack of sleep. Since it can take a lot of courage to pursue sleep training, it is absolutely crushing when a parent’s spouse, partner, parent, or friends chooses to make a comment that second guesses one’s choice to sleep train. Even though there can be a lot of stigma and judgment around sleep training from one’s friends and family, there are three main things you can say or do to combat other people’s comments in a friendly, but direct way. Depending on how close this family member is, you want to make sure you start by sharing with them just how much this lack of sleep is truly hurting you and hurting your child. Cite specific instances that show how this lack of sleep is affecting you and your child – ie. tell your spouse when you nearly hit someone with your car, or that you snapped unnecessarily at a friend (or at them! ), or that you are forgetting small tasks. You can also tell them that lack of sleep is diminishing the joy you feel as a parent. As far as baby is concerned, point out dark circles under your little one’s eyes or other ways you’ve noticed lack of sleep has affected their demeanor. In addition to factually stating how lack of sleep is affecting your day-to-day life, arm yourself with scientific fact. Tell them that lack of sleep affects children’s brain development, increases their likelihood of childhood obesity, generally makes them more irritable, and reduces their body’s ability to fight off infections and common childhood diseases. If you dig a little deeper online, you’ll find a multitude of studies supporting the links between lack of sleep and harm to your body, and that of your child’s. Confidently outline your plan. Remember that you control the message, and you have one chance to “sell” your friend or family member on what you are going to do. Help them realize you’ve done a lot of research, gotten help where you’ve needed to, and feel confident that even though there will be crying that it will be best for the baby. Be clear that you may need help, and clearly outline what you might expect in the way of support during the process. Here is where you also want to acknowledge that crying will be involved. Ask what specific concerns there may be with the crying, and be prepared to factually respond to concerns. As an additional resource to this post, I’m providing my very favorite go-to, scientific articles to show that sleep training is not harmful to children, despite what many sources on the internet might say (get the article links below). 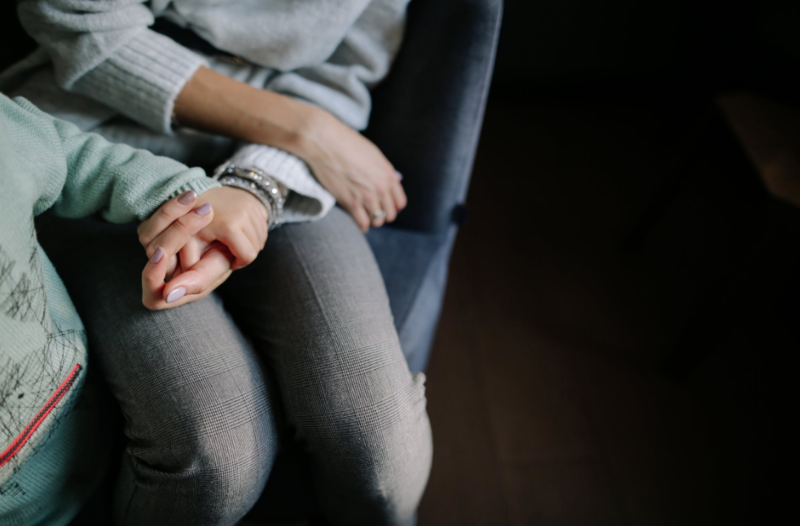 If your spouse or family member has specific concerns about crying, note the articles, and do some additional research to prove that your child will be safe and healthy through the process. Also be ready to involve your pediatrician as back up! Most doctors will be on board with a well thought-out sleep-training plan, and that can hold a lot of weight with loved ones who are concerned about sleep training. Tell your loved one that you have made your choice, will not be backing down, and that sleep training is challenging enough as it is without dealing with judgment and criticism. Explain that you’ve done everything you can to factually dissuade their concerns, but that you will not be changing your mind about pursuing this path. Go back again and kindly state that you love your loved one, you love your baby, and that you are in trouble and need help. Remind them you would love their help and support, but at the very least you will not tolerate them making this path more difficult. Ask them (to the extent possible) to keep any negative opinions to themselves. A caveat to this is if the person you are speaking to is your spouse or partner (and the parent to your child). It is not a wise idea to pursue sleep training if this person is not on board. 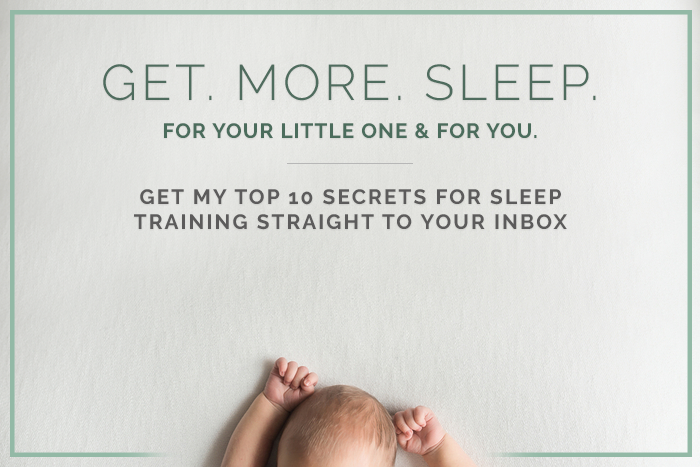 But, if you find your spouse or partner is 100% against sleep training, I would let them know that you respect their wishes, but can no longer be counted on to be the primary caretaker of your child overnight. If they do not wish to support you in sleep training, they will simply have to take on the entirety of the overnight care for your child. If your baby requires feeds, attempt to have your spouse or partner feed them bottles, OR establish 1, 2, or 3 feedings each night (whatever you feel is necessary), then hand your child to your spouse or partner and go back to sleep. Again, remember that you must modify this advice to fit your particular family dynamic, but know that it’s amazing how quickly you can get a partner on board once they are primarily responsible for taking care of your child overnight. Remember that being clear, direct, and confident can go a long way in getting loved ones on board with training, or at least in helping them to keep their opinions to themselves until the 1-2 week process of training your child has passed.